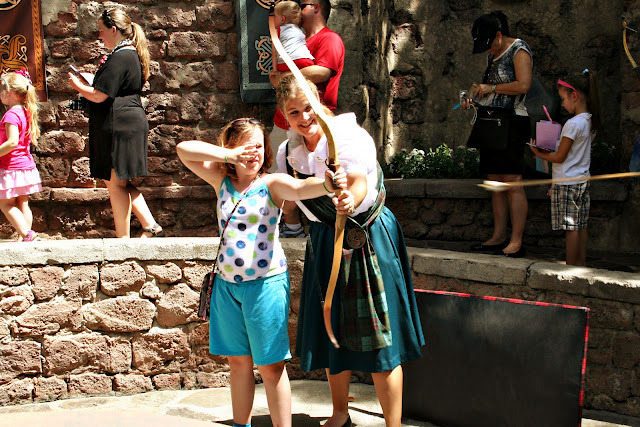 Keys to the Magic Travel: Meeting Merida from Pixar's "Brave"
Welcome to day 2 of our celebration of the upcoming release of Pixar's new movie - "Brave." Yesterday, I showed you a trailer for the movie plus the amazing sand sculpture at Epcot. 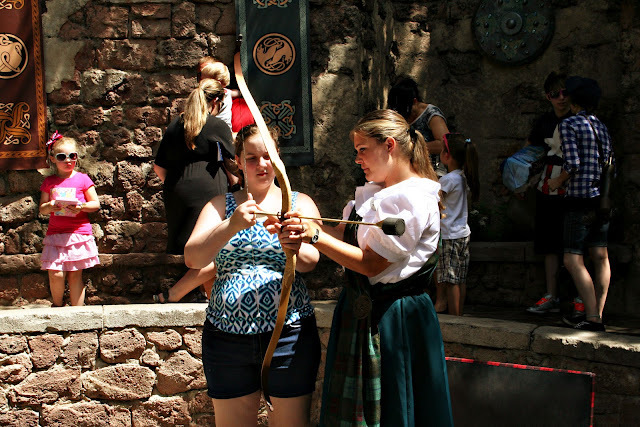 Today - we will talk about where you can meet the heroine - Merida. She can only be found at the Magic Kingdom in the fairytale garden. This is kinda tricky to find because it's not on the maps that you pick up at the parks! If you are in the hub - walk on the spoke that is to the right of the castle, towards Fantasyland. 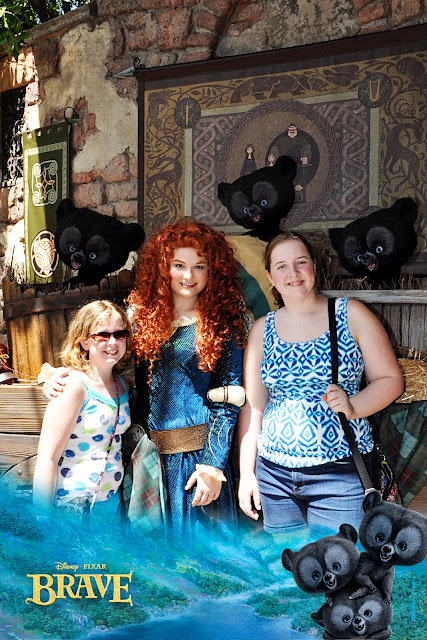 Merida's meet and greet is across from Cosmic Rays - to the left - and if you kept walking past it, you'd end up at the Tea Cups. 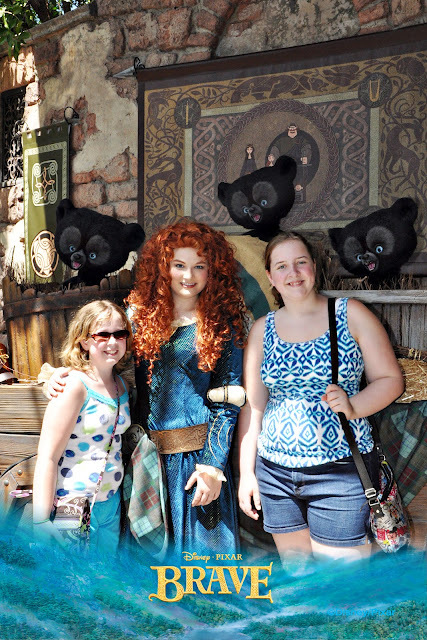 Merida meets intermittently all day. At the entrance to the garden, you'll find a cast member who will control the number of guests that go in at one time. The line itself forms beside the rose gardens and up towards the castle. Once you are "in" - you'll find a large stone table in the middle of the area where your little ones can color while you continue to wait in line for them. They can also try their hand at archery! And then finally, you can meet our heroine. There are photopass photographers stationed here - and you can add borders to your pictures if you get the photopass CD (below are your two options). My only quibble with this location is the strong sun mixed with shadows - makes it difficult to get really good pictures. Or perhaps our timing was just off. So...what about you? 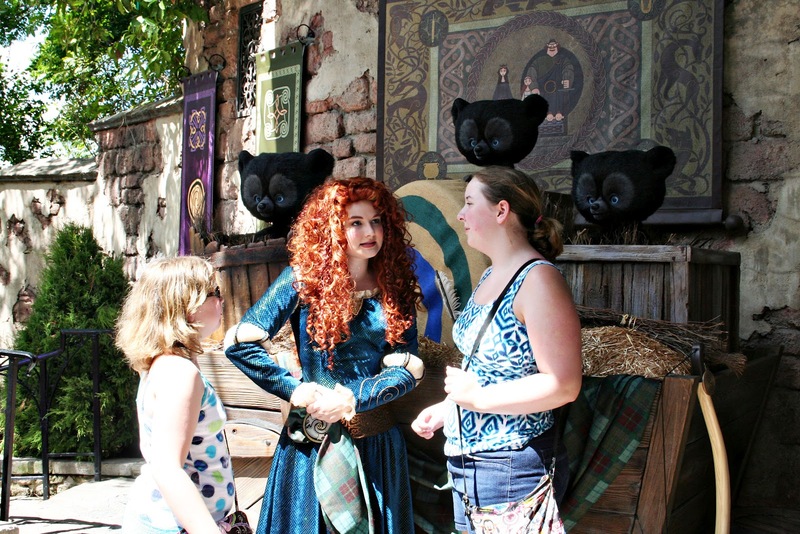 Would you or your children want to meet Merida? Okay these pictures practically made my daughter convulse. Looking forward to Brave. Looks like you had a great time! 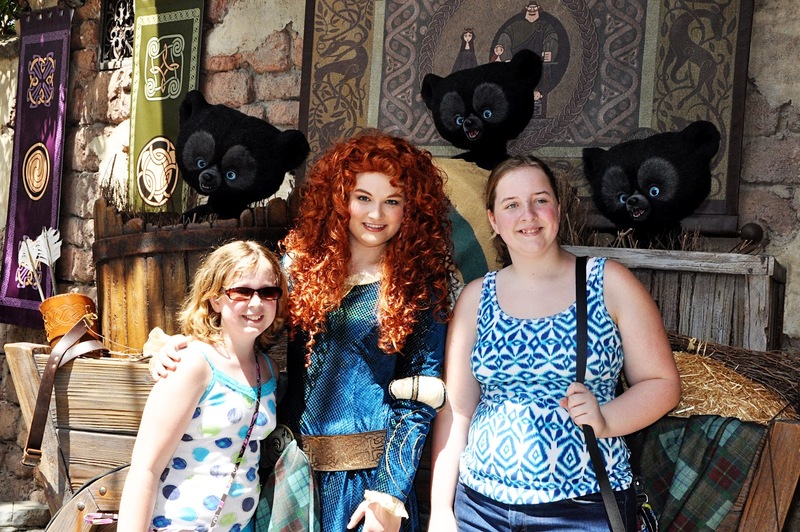 I also have an 8 year old daughter who is now very, very excited - Merida is beautiful! Great photos and looks like she was a fun character to meet! I one year old is probably too young. Great pics! It looks like you guys had fun!